Figure 1. Illustration of the Third-Instar Larvae of Thermonectus marmoratus and Its Principal Eyes (A) Picture of the entire animal. 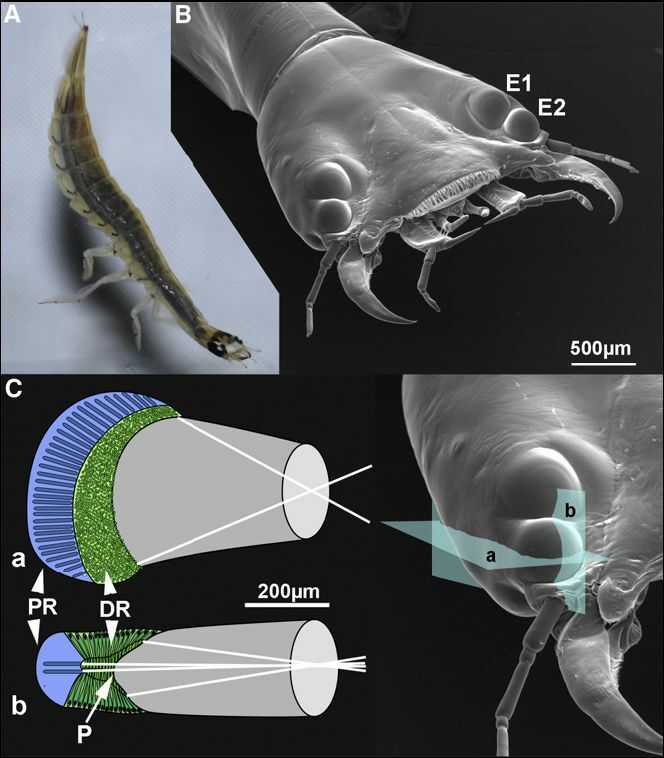 (B) Scanning electron micrograph of the larval head, showing the two large lenses of the principal eyes (E1 and E2) on each side of the head. (C) The gross optical and neural organization of E2. Inserts a and b schematically illustrate the eye organization of the two sections indicated in the scanning-electron-micrograph image. White lines show the approximate visual fields of the retinas. 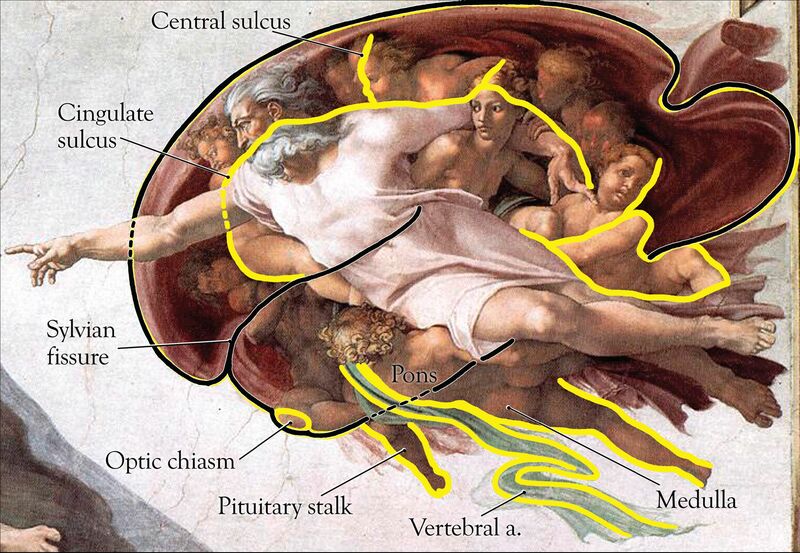 Abbreviations are as follows: PR, proximal retina; DR, distal retina; P, pit of distal retina. Update 1: I have the article now. Thanks. Also, I hope to have the next post on rickets up tomorrow evening.